Formed in 1907, Vale of Leven was originally a nine-hole course built on land leased from a local estate owner, before being increased to 18 holes in the 1920s. 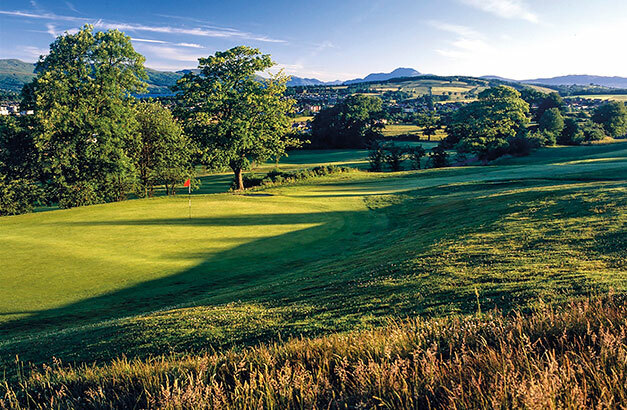 Situated on the east side of the valley with tremendous views of Loch Lomond and Ben Lomond, the course is classed as being a classic mix of rolling parkland and heathland. The course is a challenging par-67 layout, which many visitors and members describe as being in ‘excellent condition all year round’. Although it is fairly short, measuring comfortably less than 6,000 yards, the introduction of interesting bunkers in recent years and the mix of tricky short holes mean scoring can often prove difficult. After your round you can relax in the comfortable friendly clubhouse and enjoy a drink from the bar, a meal from the extensive menu and catch up on the sporting action via one of the big screen TVs. The view from the 17th hole, called ‘The Ben’, with its variety of woodland, moor, pasture, loch, glen and everlasting hills can truly be described as breathtaking and will likely be the highlight of your round here. Discounted buggy rate of £15. Green fee discount – bring 3 friends and play for £15 each. Coffee and roll plus main meal for £12.